In the world of whiskey, taste is paramount. However, the greatest whiskey in the world will not sell if it doesn't have a great story. It may anger some and annoy others, but the stories and the images of a whiskey (and its parent distillery) are incredibly important when consumers reach for their wallets. A distillery can make the finest product in the world, but if no one knows about it, or if the marketing isn't captivating, the product will not sell. 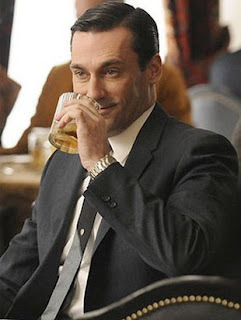 As Don Draper might tell you, "Make it simple, but significant". Some scottish distilleries present themselves as luxury brands as they aim to "premiumize" their product, capitalize on scotch whisky's reputation, and maximize profit. Whether the quality of these products justifies the higher price point is a discussion for another time. Bourbon marketing tends to lean more on tradition, southern charm and "authenticity". The latter term has been bandied about and overanalysed, but "authenticity" is significant for a lot of bourbon drinkers. Many product lines are owned by large multinationals, and there is often little to distinguish one brand from another save the name on the labels. Wild Turkey is different. They've been making bourbon for a long time. This isn't just a catch phrase or clever marketing. 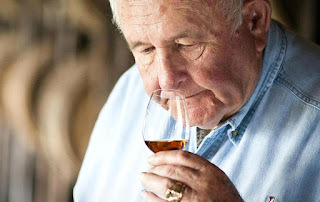 Wild Turkey's Master Distiller Jimmy Russell really has been making it "the old way" for over sixty years. He would tell you Wild Turkey makes bourbon "the right way". That's simple, but significant. While Russell's statement is significant, the bourbon itself is anything BUT simple. In an interview with Dave Broom, Jimmy Russell notes that the yeast strains used for fermentation back when he started working at the distillery over sixty years ago were "the ones Wild Turkey had been using forever, even then." Russell states that the ratio of corn in the mashbill is "in the low seventies", allowing for more small grains (rye and malted barley) to contribute to the final flavour of the bourbon. Wild Turkey also goes into the barrel (after distillation) at a lower proof (alcohol percentage) so that less water has to be added to the final product. 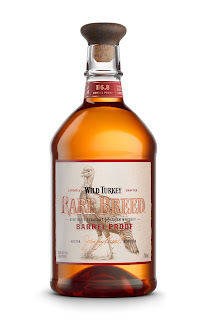 Of course, Wild Turkey Rare Breed is bottled at "Barrel Proof" meaning no water was added at all to the final product. It is reportedly a vatting of bourbons between 6 and 12 years old. This one weighs in at a muscular 58.4% ABV (116.8 Proof). So how does it taste? Nose (undiluted): freshly sawn oak, cherries, orange peels, corn husks, light rye bread and a touch of light brown sugar. Finish: long, clean and fruity. There's a mingling of sour cherries, toffee, a bit of coconut, some dried tobacco and vegetal, earthy rye spice. Terrific. Adding water dampens the fruitiness quite a bit. Water brings out more brown sugar and barrel char aromas. The flavours change with water; the texture becomes waxy and the rye spice comes forward a bit. The barrel notes are more evident on the finish with oak spice (nutmeg, cloves, black pepper) being the most apparent. Fantastic with or without water. There is a "clarity" to the flavour of Wild Turkey that I absolutely love. There's no murkiness, no haziness to the order of flavours. I'd also point out that this is one of the best whiskeys for making an Old Fashioned. I realize it isn't the cheapest option, but the quality and strength make it a worthwhile experiment. Trust me, you won't regret it. Davin de Kergommeaux spoke briefly about Jimmy Russell on a recent podcast. He encouraged new distillers to follow their own path rather than trying to copy what other successful companies are already doing. Davin emphasized his point, stating "you aren't going to out-bourbon Jimmy Russell, so you shouldn't try to do what he does". That's pretty high praise, considering the source. Eddie Russell, Jimmy's son, was named Master Distiller in 2015, after 35 years with the company. I can only hope he continues to make things "the right way". Doing things "the old way" might be a common marketing pitch in bourbon, but it also seems to be true in the case of Wild Turkey. Simple, but significant. 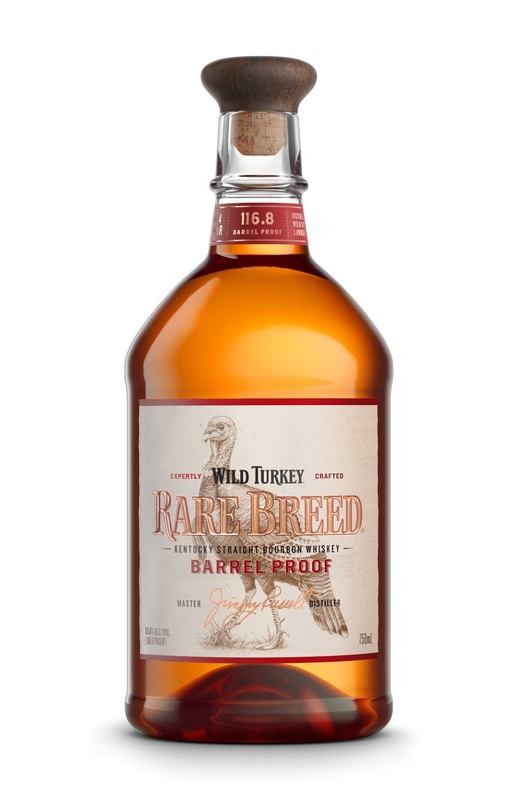 Wild Turkey Rare Breed is a fantastic bourbon, and I highly recommend it. Who says "This drink's on me".